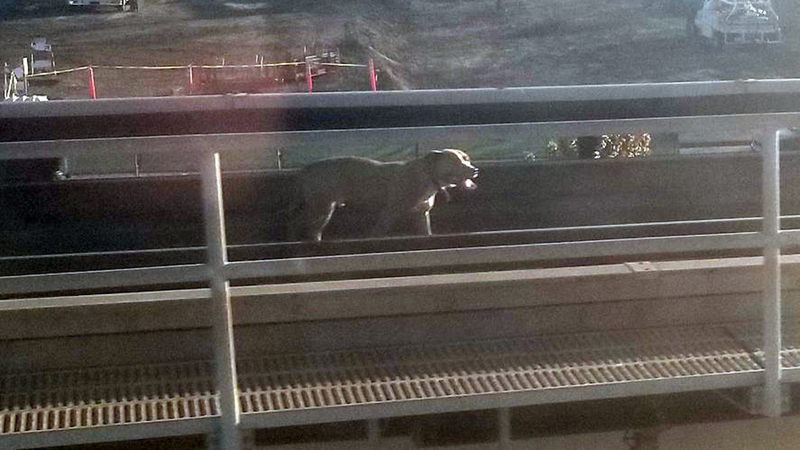 OAKLAND, Calif. -- A dog on the BART tracks near the Coliseum Station in Oakland prompted delays of at least 10 minutes Wednesday morning for all trains passing through the area. BART officials wrote on Twitter at 8:09 a.m. about the incident, which is affecting service in the Dublin/Pleasanton, Warm Springs, Fremont, Richmond and Daly City directions. Trains temporarily single-tracked through the area. Crews have brought the dog to safety. There is a dog on the trackway near the Coliseum. We are working to safely get the dog. We need to single track until it is clear. Still working to get that dog near Coliseum. We have major delays on the Fremont line. And no we are not going to run over the dog. The dog keeps running off. We are going to run an inspection train at slow speed to see where the dog is and if we can get trains moving. We got the dog! Sorry for the horrible delays. Trains are moving again.